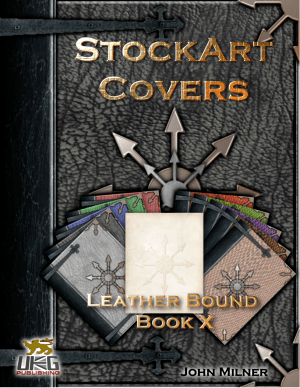 We are pleased to announce the release of a new StockArt Covers product, Leather Bound Book X.
Leather Bound Book X includes 11 full size png files (10 covers and 1 interior page) and 1 psd file. The design is of a Leather Bound Volume with a Chaos Symbol decal and trims, with 2 different leather textures. New Wallpapers, and a bit of a catch up.